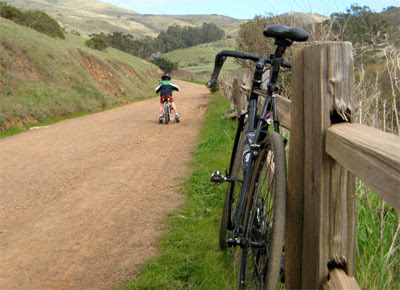 Taken this afternoon while enjoying a nice bike ride with my son through Marin County's Tennessee Valley. What kind of bicycle do you ride? Any more pic of the bike?